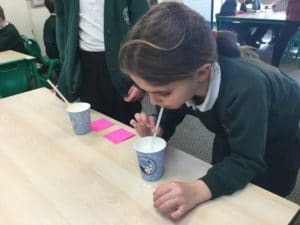 What makes better bubbles, cold or warm water? 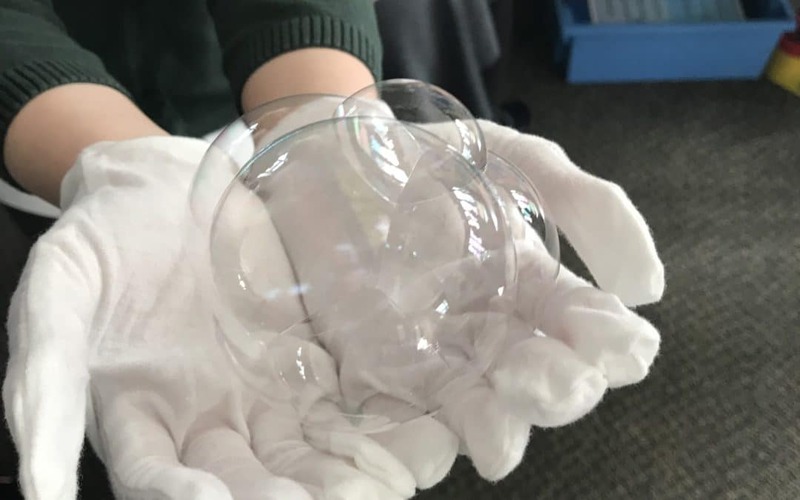 What can you use to make bubbles? 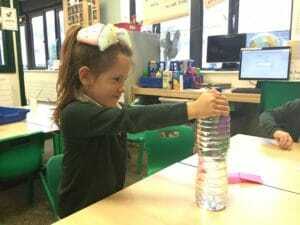 Can you make the balloon sink? 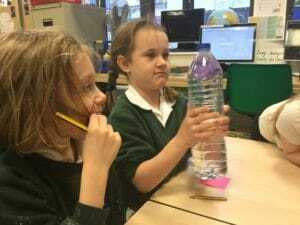 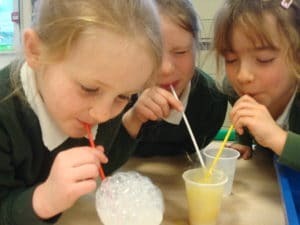 Which liquid is the best for blowing bubbles? 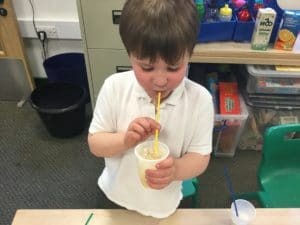 Which blow better bubbles, straws or wands? 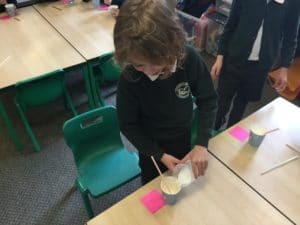 After a lot of fun exploring these questions, the children came up with their own questions they wanted to further investigate and as a class we chose just one. 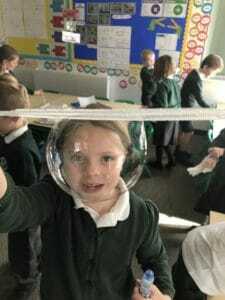 Class 5 decided they wanted to explore ‘Which material is the best for catching bubbles?’ and Class 6 chose ‘Which bubbles last the longest?’. 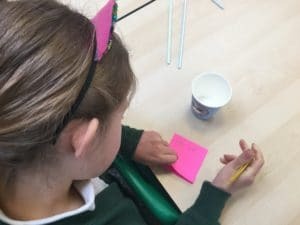 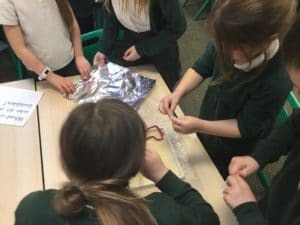 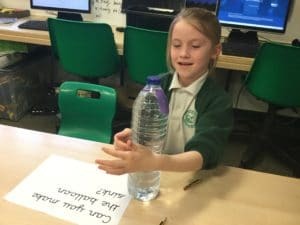 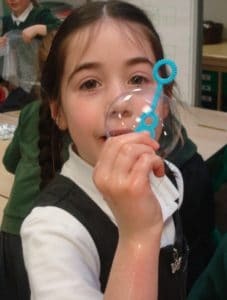 The children planned their investigation in small groups and then discussed their investigation and results alongside other members of the school in a Science assembly. 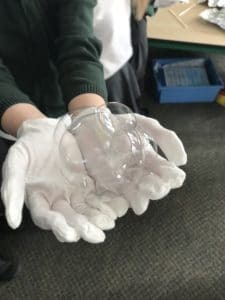 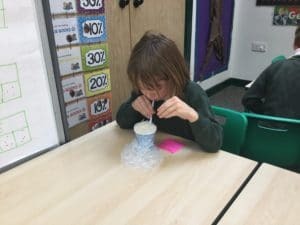 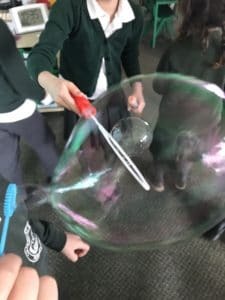 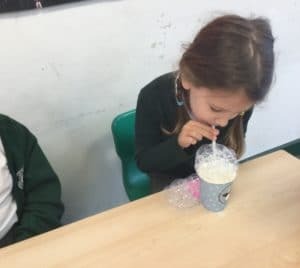 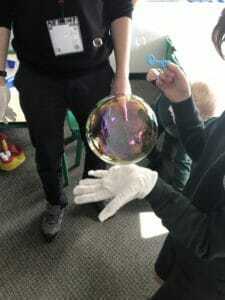 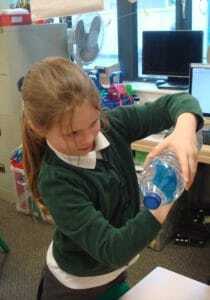 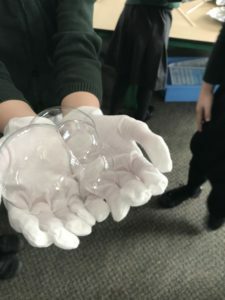 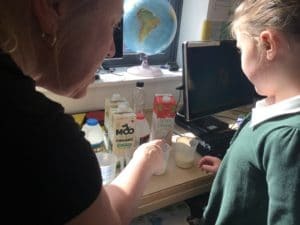 Class 5 found out that cotton gloves were the best for catching bubbles and Class 6 discovered that soya milk produced bubbles that lasted the longest compared to other types of milk.